My sweet friend had her baby about a month ago. 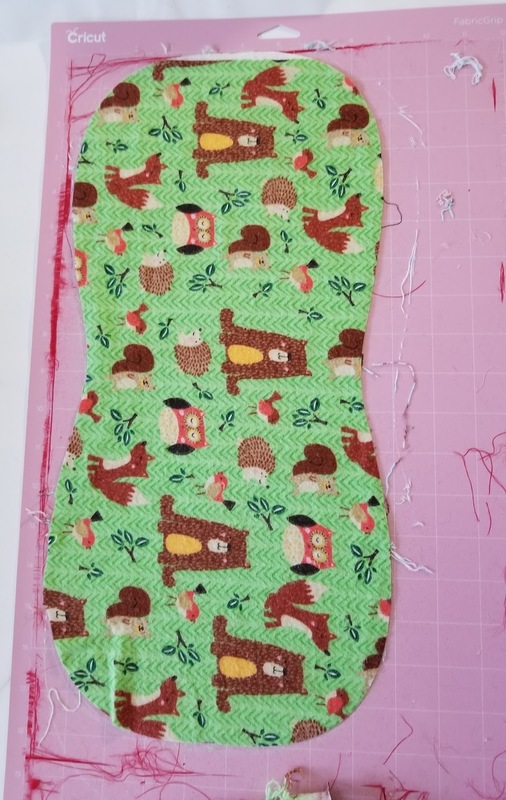 I wanted to give her a simple handmade gift, but also wanted something I could use for future friends babies. Of course I thought of burp cloths. 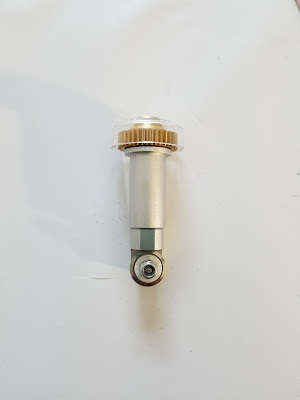 They are useful, simple and you can never have enough. 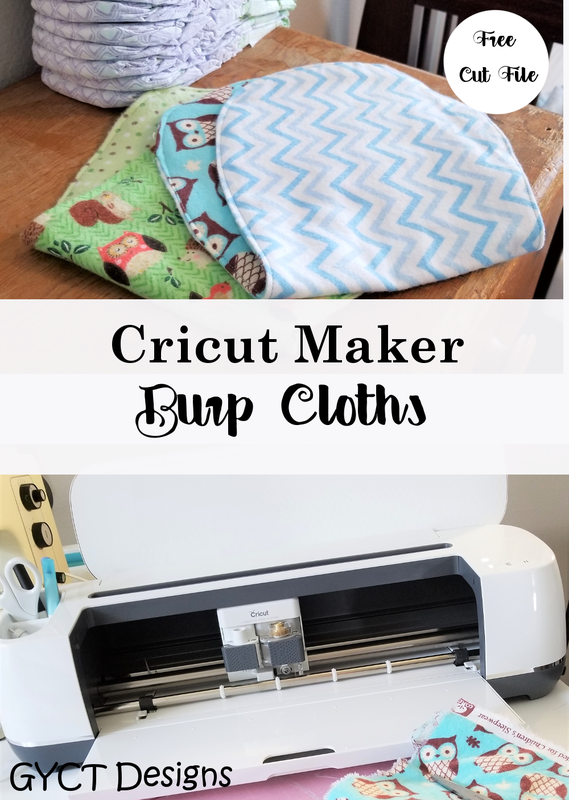 And why not use my new Cricut Maker to help me design and cut out the perfect shaped burp cloths. Now if you want to sew a burp cloth, you don't have to have a Cricut Maker to cut out your fabric pieces. But one of the things I loved was that I didn't have to measure or be super careful with my cutting. My machine did all the hard work for you. I just loaded up my fabric and my SVG design and it cut all my pieces exactly the same size. No pinning. No hassel. It was awesome. I've included a free SVG file for downloading for anyone that wants to use the file on their cutting machine. 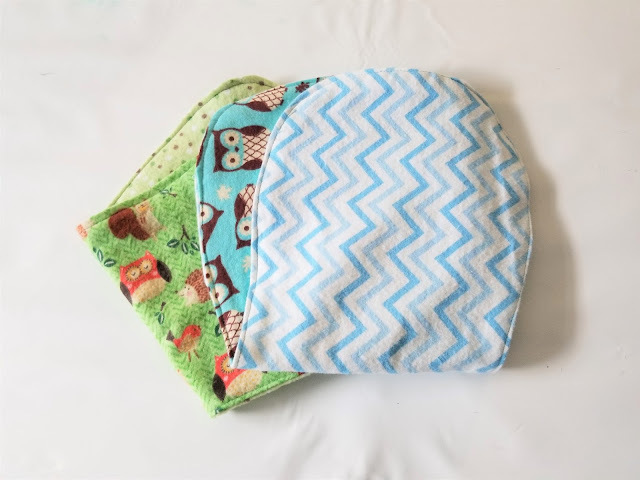 If you don't have a Cricut, you can also download our free PDF burp cloth pattern. Both files are free for subscribers in our Resource Library. Before you start sewing, check out our fast video tutorial on how to sew up your burp cloths. Upload the burp cloth svg to your Cricut Design Space. You'll need to edit the file so that your pattern is 10" wide and 20" long. You can adjust this to be bigger or smaller. 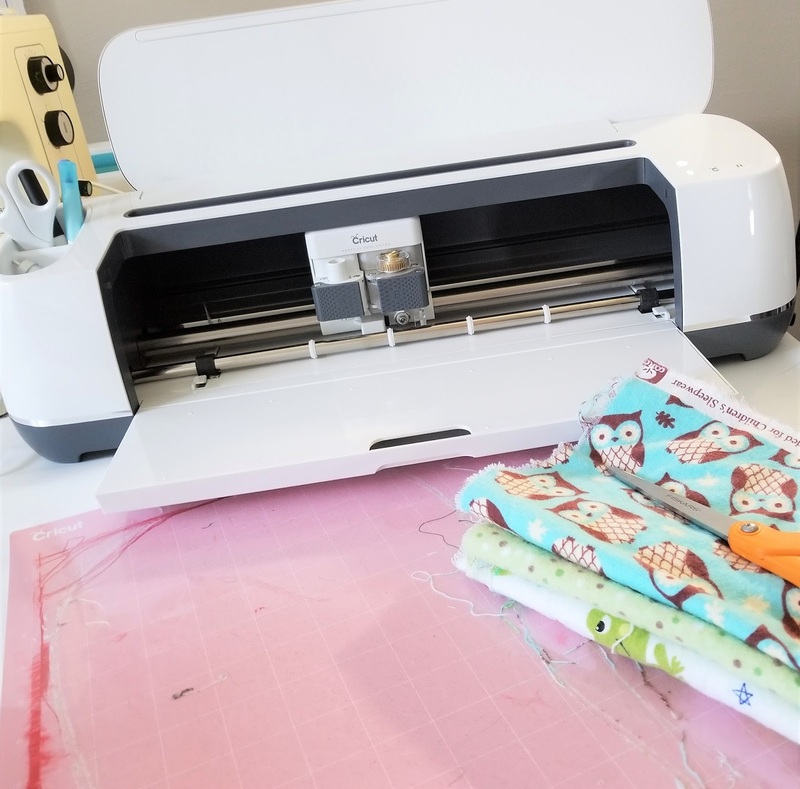 Place your fabric on the Cricut 12 x 24 Fabric Grip Mat. Make sure to change your blade to the rotary cutter. Load your mat into your machine. Cut out your pattern. 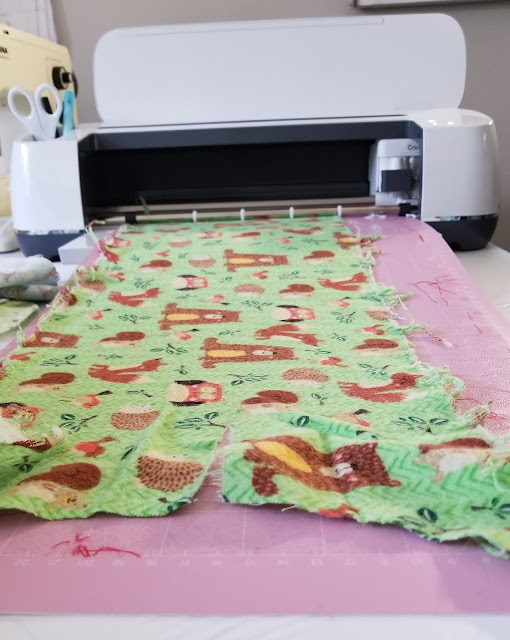 Unload your cutting mat and peel away the excess fabric. 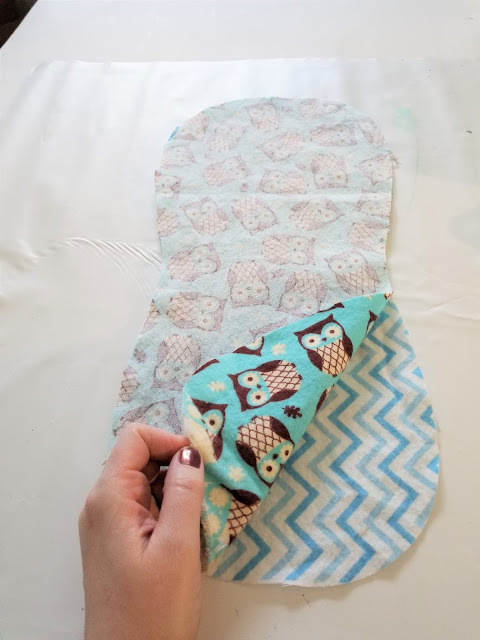 Remove burp cloth layer and repeat steps 1-3 for opposite side of the burp cloth. Place 2 burp cloth pieces with right sides together. 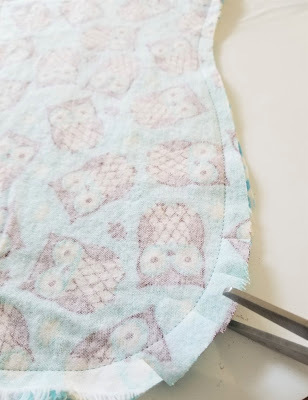 Stitch the 2 pieces together but make sure to leave a 2-3" opening so you can turn it right side out. 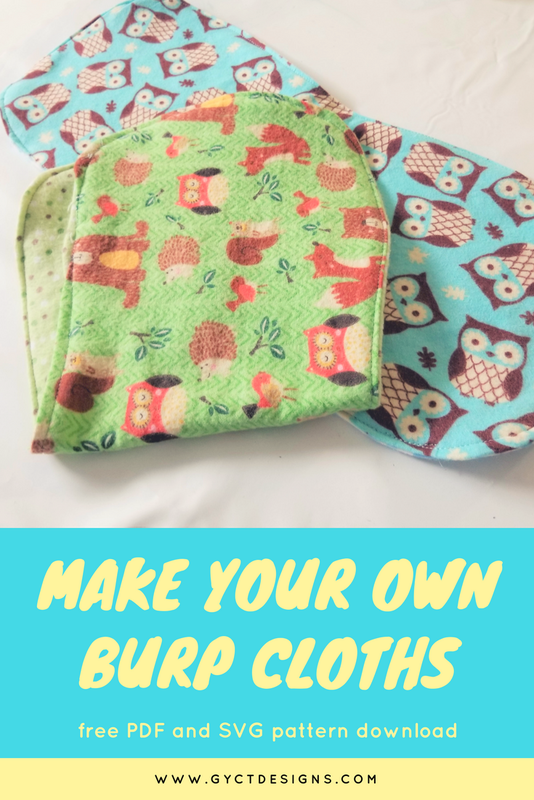 Use scissors to clip around the entire burp cloth. Press. Turn burp cloth right side out through the 2-3" opening. Press. Topstitch around the entire burp cloth at about 1/8". Press. Tada! You're done. See how fast and simple that was. 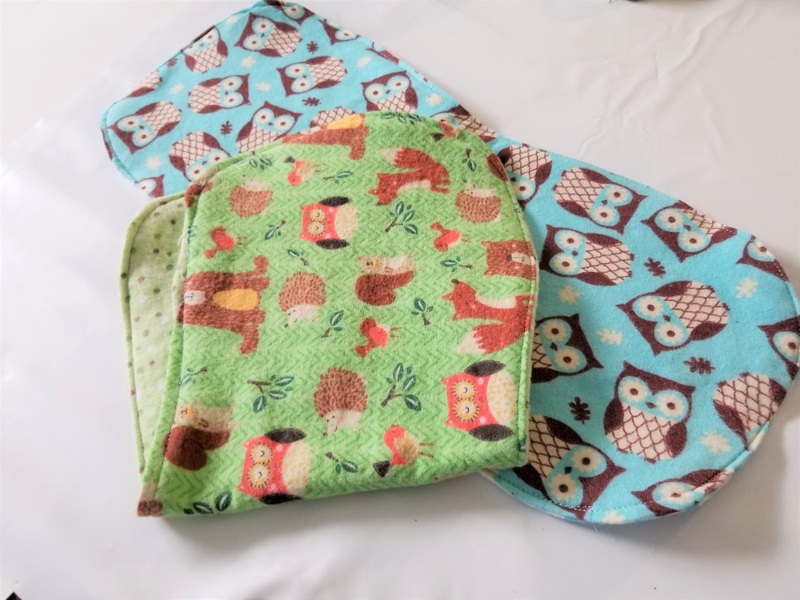 But it is such a great project and anyone you sew burp cloths for will be so thankful. This would even be a great beginner sewing project. Maybe if you plan to introduce your child to how to use the Cricut Maker and how to sew. 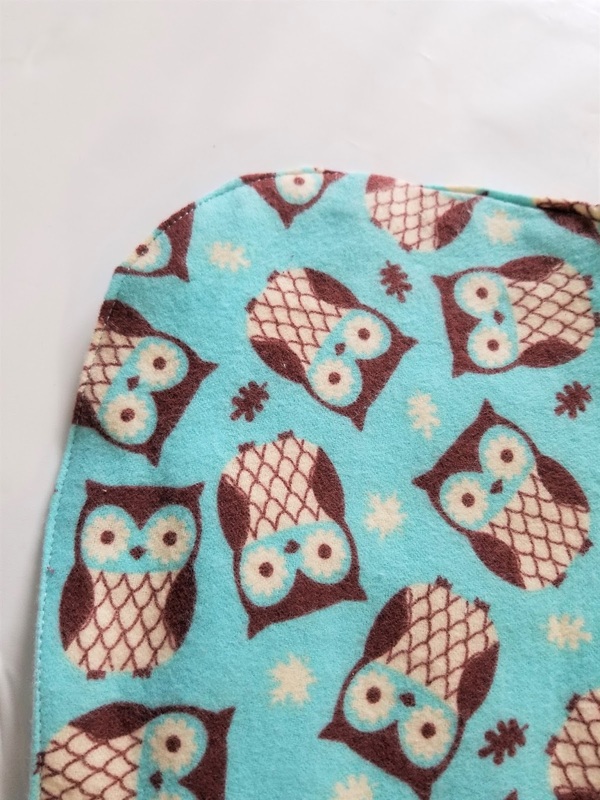 Scared of sewing with stretchy, knit fabrics? Enroll in our FREE Knit Sew Scary course and learn tips and tricks to sewing with knit fabrics.